In the October 1993 inaugural issue of FPM, founding editor-in-chief Robert L. Edsall declared that “FPM is not an ordinary practice management journal.” It was about more than that. For the last 25 years, FPM has published practical, authoritative, peer-reviewed articles devoted to better practice, healthier patients, and a rewarding career for family physicians while helping make sense of the constant changes in health care. 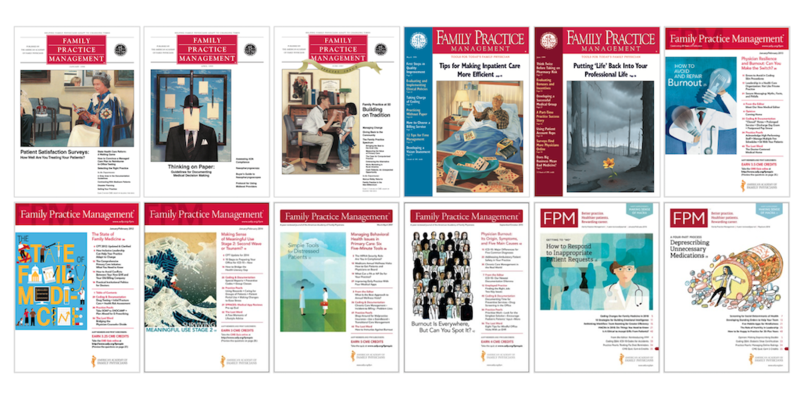 To mark this milestone, we’ve picked some of our favorite covers (see above) and 25 of our favorite articles from the archives (see below), which together tell a story of family physicians’ strengths, innovation, and resilience. Whether you have been reading FPM since the beginning or have only recently discovered us, thank you for reading, interacting, and sharing these ideas. We hope to serve you for another 25 years. And if these past articles inspire you to write for FPM, contact us with your article idea or visit our Authors Guide. 7. What Should You Do When Your Patient Brings a List? 15. Have You Really Addressed Your Patient's Concerns?